and It Was All Because of YOU! The 4th annual Personalized Learning Summit was full of powerful professional development, inspiration, idea-sharing, story-telling and friends. Be the first in line for PL Summit 2019 by joining our mailing list and receiving an exclusive registration announcement. A call for presentation proposals will be announced this fall. Follow The PL Summit on social media using the #PLSummit Hashtag! 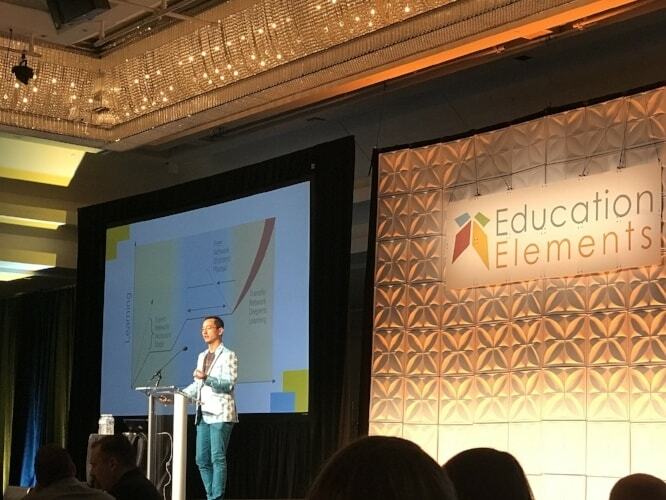 Follow Education Elements at @EdElements for all updates. 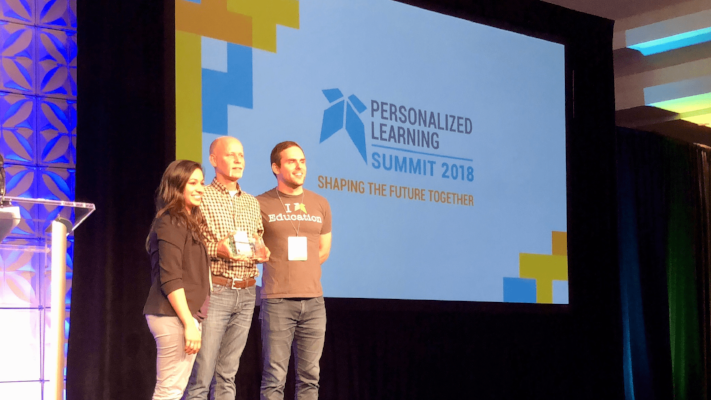 In May 2018, the fourth annual Personalized Learning Summit brought together about 750 attendees in San Francisco to shape the future of education through personalized learning. The event was structured as a three-day in-person event full of professional development opportunities, dynamic and engaging sessions, networking events, inspiring and insightful keynotes, and tours of some of the most innovative companies in the San Francisco Bay Area. Join a community of over 700 personalized learning leaders at the 5th Annual Personalized Learning Summit. Went from 150 attendees in 2015 (in San Jose) to around 250 in 2016 to more than 500 in 2017, to around 750 attendees this year. NY and CA tied for being the largest audience in attendance. 74 Sessions including workshops, breakouts, roundtables, design challenges, simulations and coaching sessions. George Couros is a leading educator in the area of innovative leadership, teaching, and learning. He has worked with all levels of school, from K-12 as a teacher, technology facilitator, and school and district administrator, and is the author of the book, The Innovator’s Mindset; Empower Learning, Unleash Talent and Lead a Culture of Creativity. He is a sought-after speaker on the topic of innovative student learning and engagement and has worked with schools and organizations around the globe. George is also the creator of Connected Principals.com, an initiative that brings educators and leaders together from around the world to create powerful learning opportunities for students. George is a leader in the area of innovation, yet his focus is always on the development of leadership and people and what is best for learners. His belief that meaningful change happens when you first connect to people’s hearts, is modeled in his writing and speaking. You can connect with George on his blog, The Principal of Change (georgecouros.ca) or through Twitter @gcouros. Called "a master of the genre" by The New York Times, Sarah Jones is a Tony® and Obie Award-winning solo performer and writer. She is best known to theater audiences for her critically acclaimed multi-character, one-person Broadway hit Bridge & Tunnel, originally produced by Oscar® winner Meryl Streep, and for her most recent piece, the Off-Broadway hit Sell/Buy/Date. Sarah is also a writer and producer on the Golden Globe® nominated Showtime comedy SMILF. The daughter of two physicians and the product of a multi-racial family and community, Sarah was educated at Bryn Mawr College and the United Nations International School, honing her sense of empathy for people from all backgrounds and the diverse voices that characterize her work. Renowned as “a one woman global village”, she has also given multiple main-stage "TED talks" garnering millions of views, performed at The White House and United State of Women Summit at the invitation of President and First Lady Obama, and given an historic performance at The World Economic Forum Annual Meeting in Davos, Switzerland. Jones is also a long-standing advocate for the empowerment of women and girls. She is recognized internationally for her humanitarian activism, including her role as a UNICEF Goodwill Ambassador, performing for audiences around the world, and raising awareness of issues including ethnic, racial, and economic disparities in the United States. Sarah's multimedia projects based on her characters include a new podcast with PRI, Playdate with Sarah Jones. Learn more about Sarah’s ongoing projects at www.sarahjonesonline.com or via social media at @jonesarah on Twitter and @xosarahjones on Instagram and Facebook. Anthony Kim is a nationally recognized leader and speaker in education technology, school design, and personalized learning. As founder and CEO of Education Elements, he has been involved in helping hundreds of schools and districts change the way they think about teaching and learning. As the author of The Personalized Learning Playbook: Why the Time Is Now, and the co-author of The NEW School Rules: 6 Vital Practices for Thriving and Responsive Schools Anthony has influenced many educators. He has contributed to many publications on new school models including Lessons Learned from Blended Programs: Experiences and Recommendations from the Field. Anthony’s work has been referenced by the Christensen Institute, iNACOL, EdSurge, CompetencyWorks, EdWeek, District Administrator, and numerous other research reports. 75 minute interactive workshops focused on topics related to our theme, Shaping the Future. 75 minute simulations where you can experience a personalized learning classroom as an elementary or secondary student. 20 minute coaching sessions to help solve your specific school and district challenges 1-on-1. 75 minute roundtable conversations hosted by practitioners on specific problems of practice. 75 minute sessions during which leaders share big ideas from inside and outside the field of education. 90 minute energetic, creative, and collaborative design sessions focused on common challenges. Rates: Discounted rates are available for PL Summit attendees. We Work Hard... and Play Hard Too! Thank you to everyone who submitted amazing stories about the Role of Leadership in Personalized Learning! Our grand prize winner is John Schlender, Principal of Mayville Middle School! Principal Schlender’s post is all about asking the questions we always hope education leaders will ask themselves and their teams, and you can read it here. He and one other leader from Mayville School District, WI, will receive roundtrip flights, hotel stay for the duration of the Summit, and free registration and access to all Summit activities! 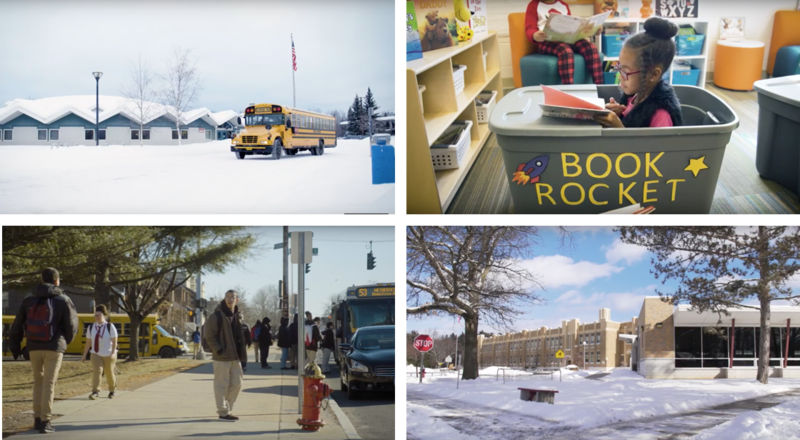 In addition to the grand prize winner, we chose five runners-up who will receive copies of the new book from Anthony Kim and Alexis Gonzalez-Black, The NEW School Rules: 6 Vital Practices for Thriving and Responsive Schools. Interested in attending PL Summit 2019? Join our mailing list to be the first to know when registration for the PL Summit 2019 opens. A call for presentation proposals will be announced this fall. Want to connect with us? Fill out the form and we will get back to you asap!